Baghdad, SANA- Baghdad International Book Fair kicked off last Thursday with the participation of 35 Syrian publishing houses. The Syrian pavilions have witnessed a huge turnout since the beginning of the fair. 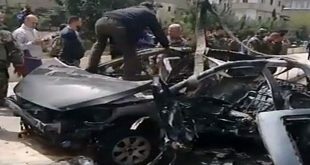 A number of the owners of the Syrian publishing houses indicated that the goal behind their participation is to prove that Syria will continue the industry of life, culture, literature and art and it will continue to combat terrorism at the same time. The affirmed that Syria will participate in the coming editions of the fair in reflection of the solid relations binding the two brotherly peoples and countries. They indicated that their participation in the Fair will contribute to exchanging knowledge and various cultural activities between the Syrian and Iraqi peoples. 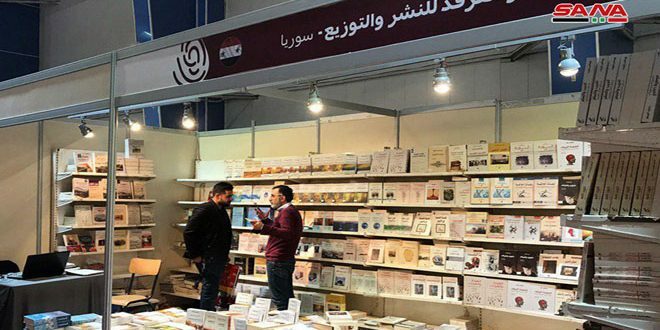 Baghdad International Book Fair 2019 started activities last Thursday with the participation of 23 states through 650 publishing houses and more than 2 million titles.